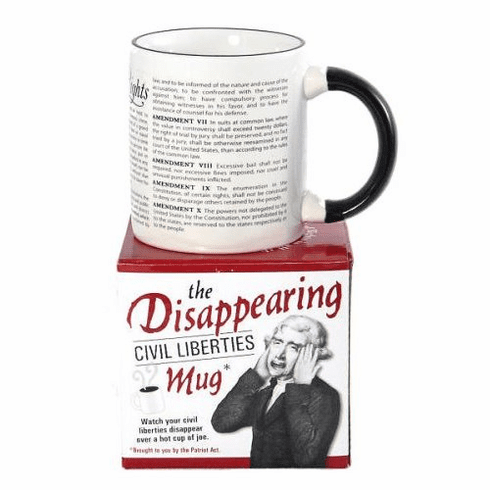 Watch your civil rights disappear over a cup of coffee or tea. Just add hot liquid and they slip away before your eyes. It's like the Bush administration all over again.